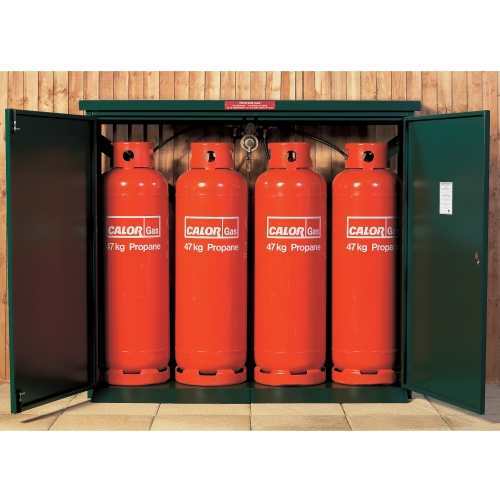 The Asgard Asgas 188 unit has been tailor-made for the storage of four 47kg propane gas bottles and is perfect for static caravans, park homes, rural retreats, lodges, and domestic or industrial use. A beautiful, good quality item, completely fit for purpose. Has tidied up unsightly and bright gas cylinders at back of house. Service from company - excellent - delivery men took item exactly where we needed it. Good value item. Recommended. We purchased the asgas product to as part of a caravan park and have so far been very pleased with it. It was relatively easy to put up and certainly big enough for 4 large gas bottles, a good purchase. 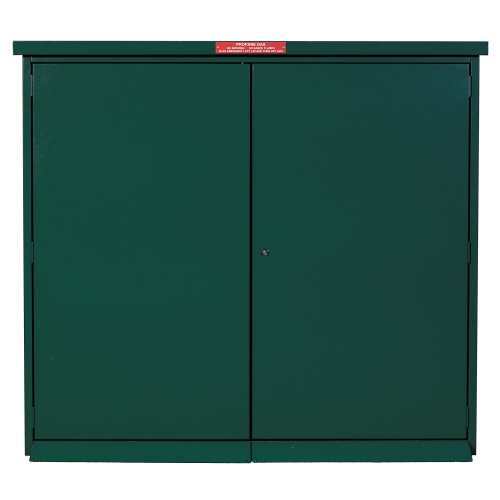 The Asgas 188 has a number of unique features, is available in 3 colours (Ivory, Dark Green, and Dark Brown), and can be suited in with other Asgard Secure Steel Storage units to provide the complete storage solution. Unit has a tough, galvanised steel construction, which is then further protected by exterior quality, weather resistant paint. Gas cylinders can be chained to back rails for extra security. 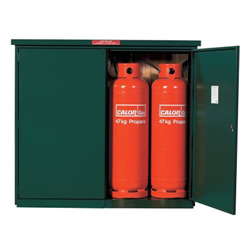 It has double lockable doors with a universal lock to enable gas supplier to gain entry and trap side bolts. The top lifts open for checking of regulator and access to shut off valves in case of emergency and features gas lifts to ease opening. There is a pre-drilled top rail with mounting plate for fitting of regulator (regulator not included) and vented slots in sides for gas dispersion. Includes removable base with integral ramp, allowing easy access to change over cylinders. Please ensure that Gas bottles should aways be sited away from flammable surfaces.